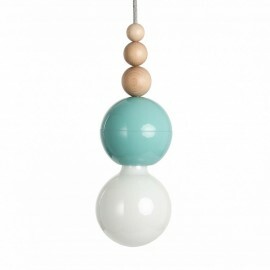 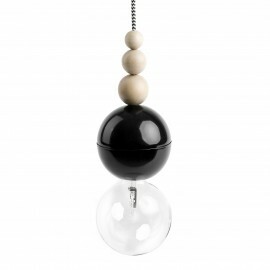 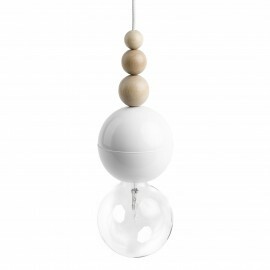 Unique ceiling lamp in the shape of a pearly sphere will give the interior of romanticism a full moon. 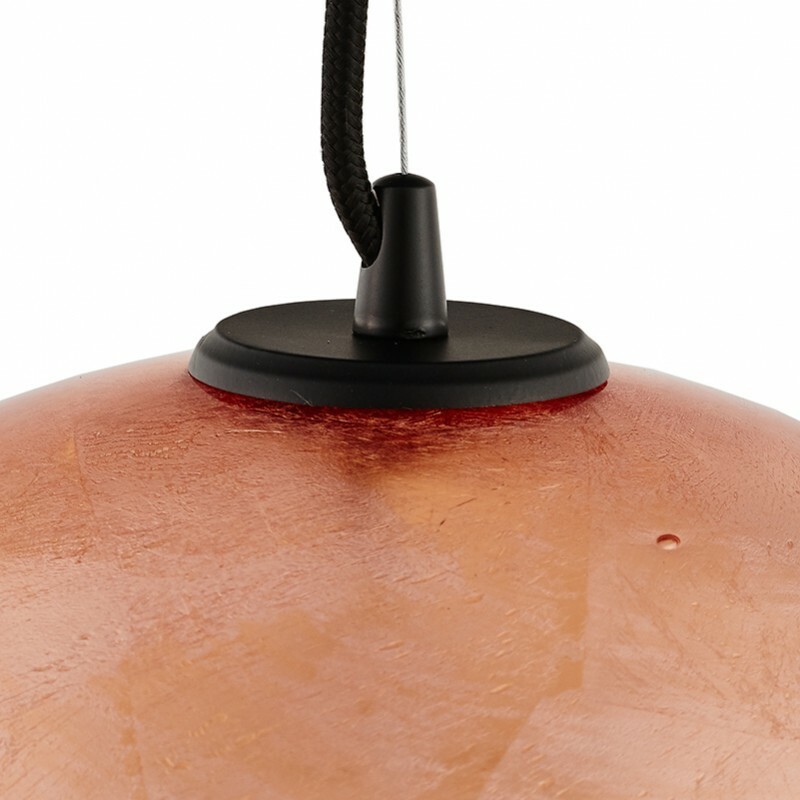 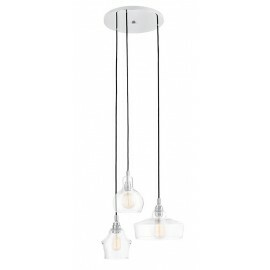 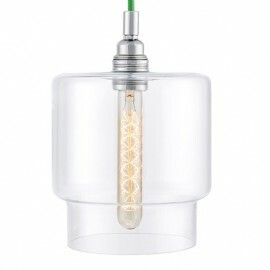 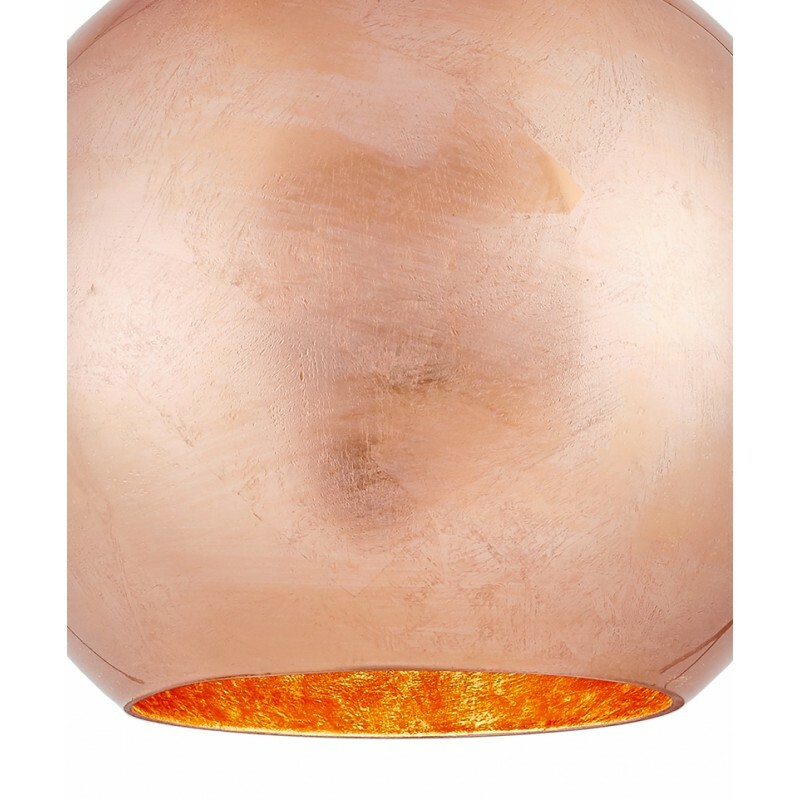 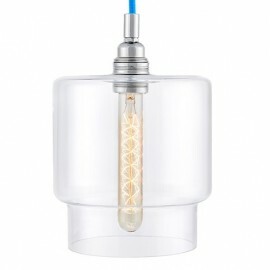 The secret of this beautiful form lies in a glass lamp lined with metal flakes. 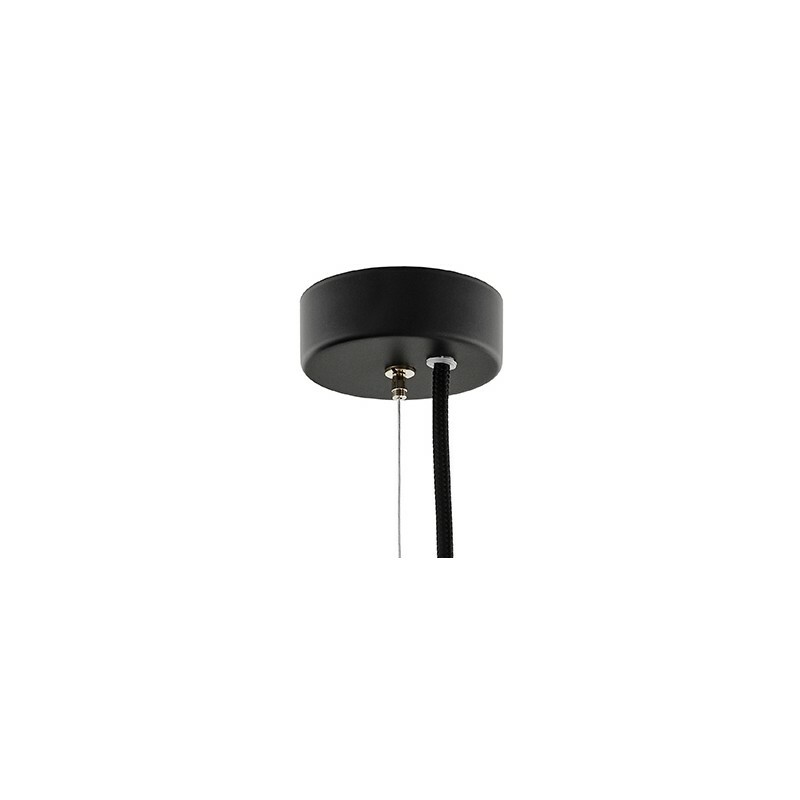 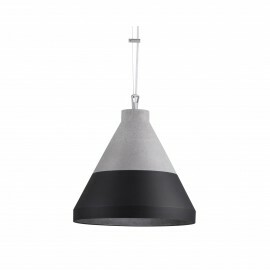 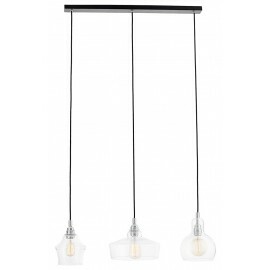 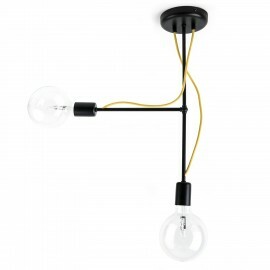 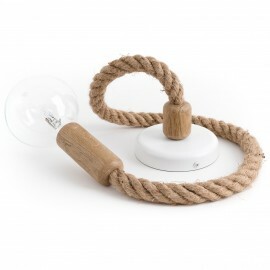 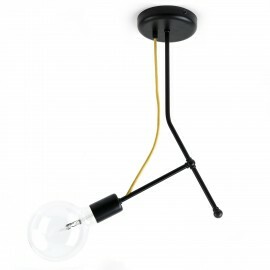 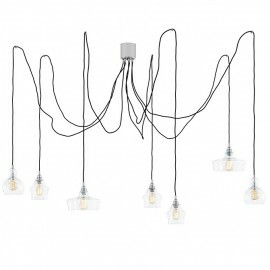 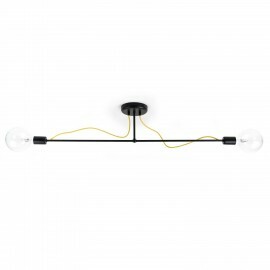 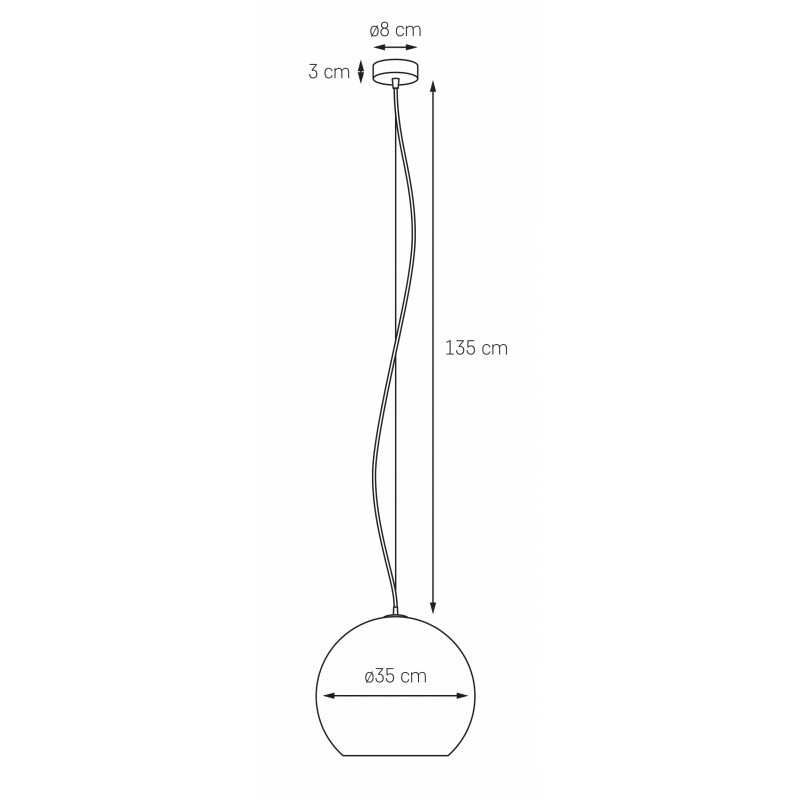 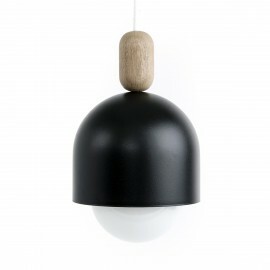 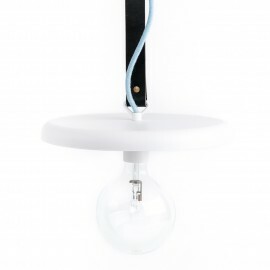 The mood of the luminaire suspended on a steel line breaks the black power cord around it. 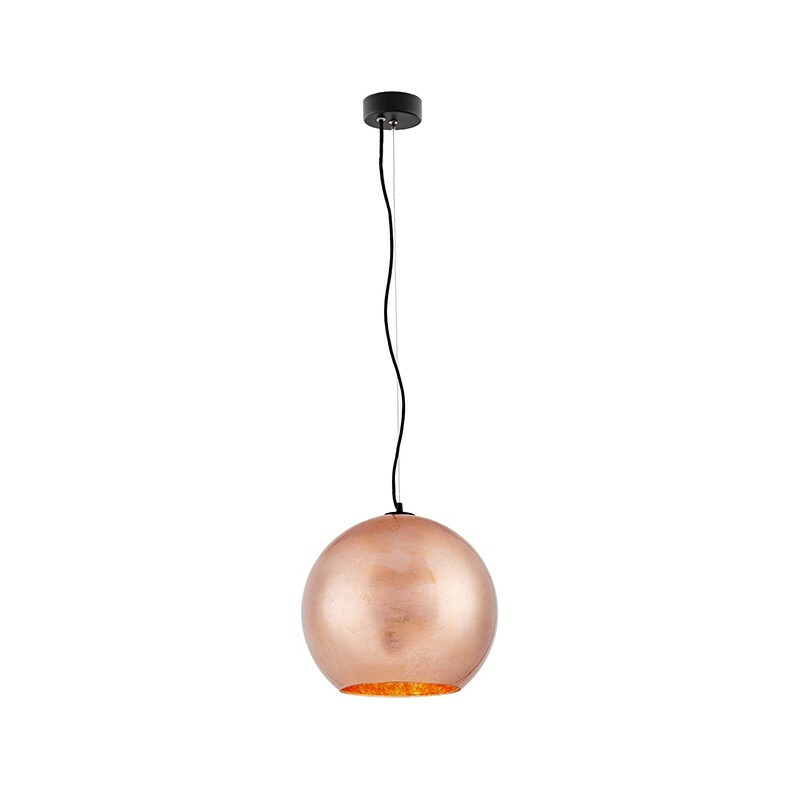 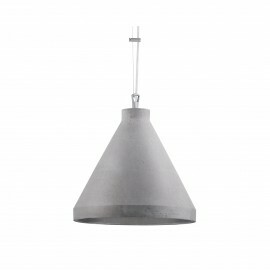 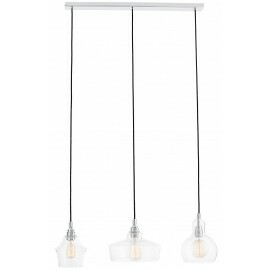 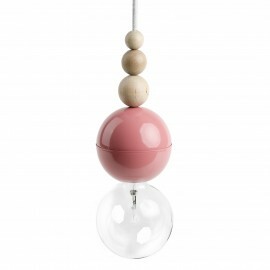 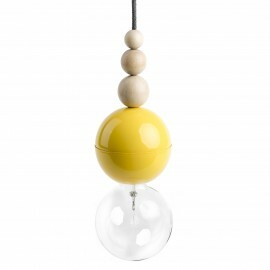 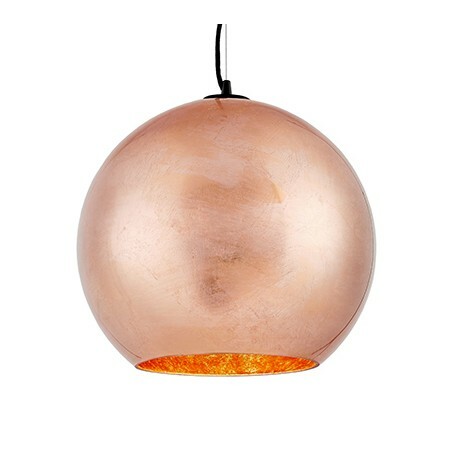 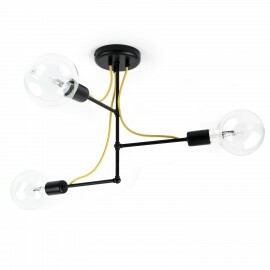 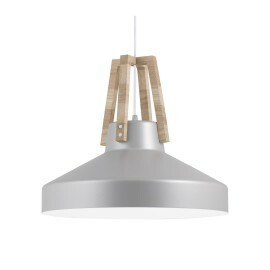 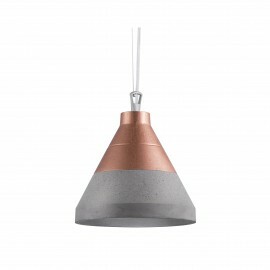 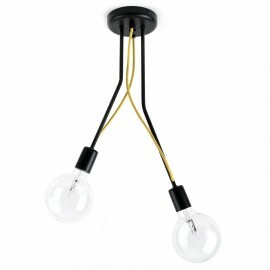 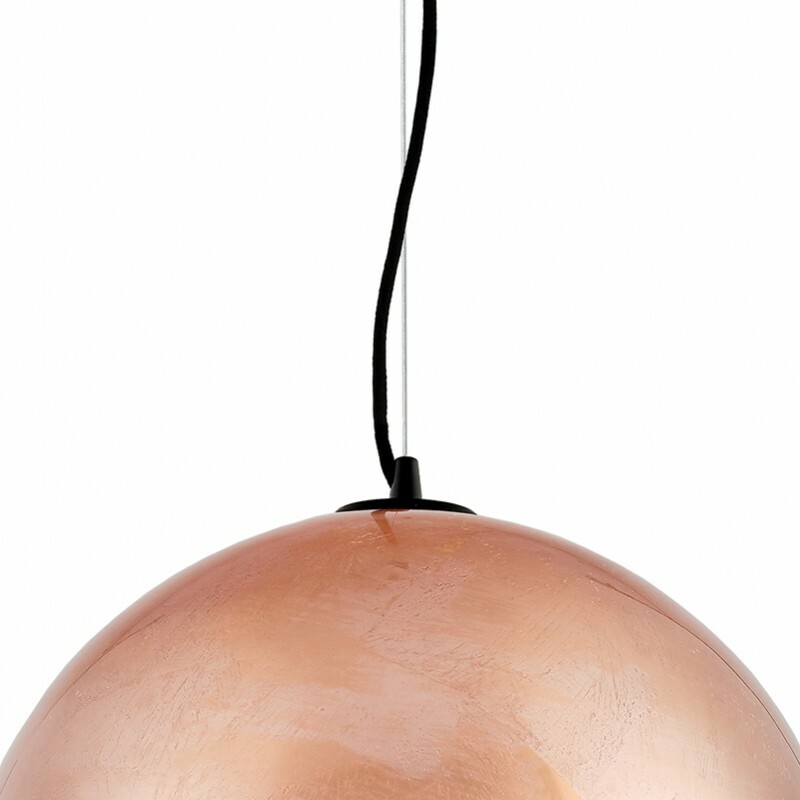 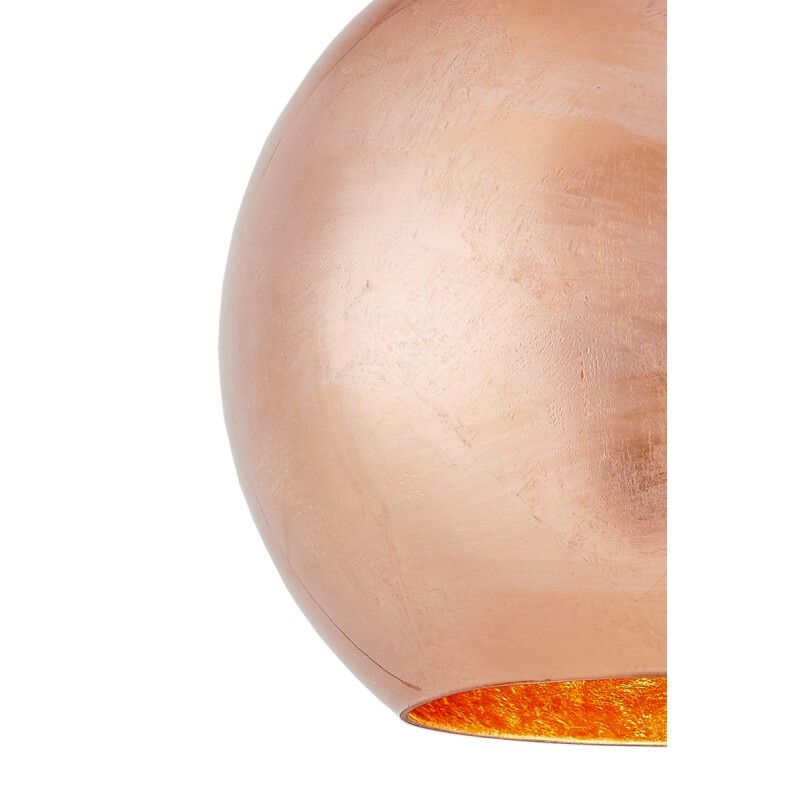 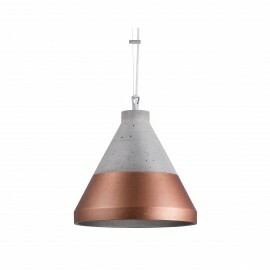 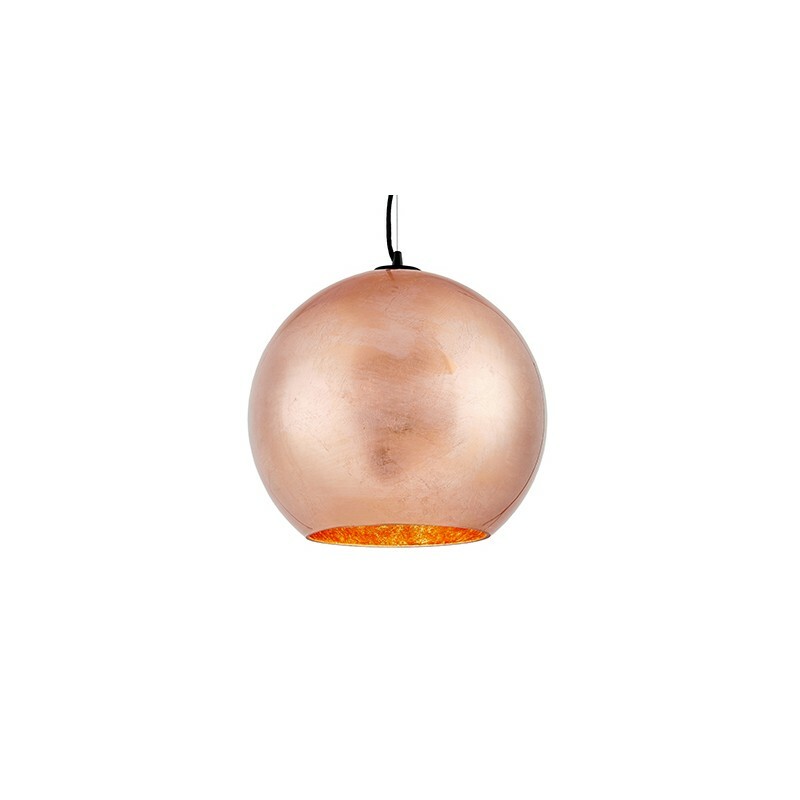 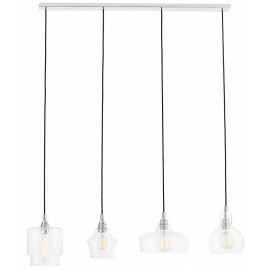 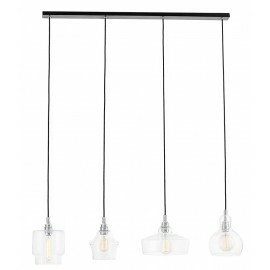 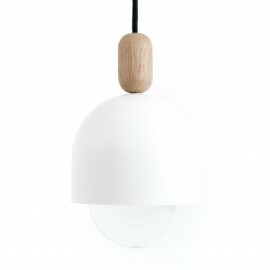 The lamp is available in shades of pearly silver, gold and copper. 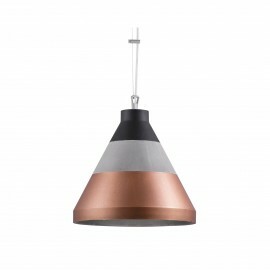 - Frame color: black, shade color: copper.